I love how Coreopsis flowers appear to hover above the ground. They are prolific flowerers as well, and seem to be well liked among native bees. I don’t know the true origin of their common name “tickseed”, but their seeds do kind of resemble little ticks. This plant blooms early to mid June, and the blooms can last well into July. Prefers full sun and well-drained soil, but can tolerate partial shade. 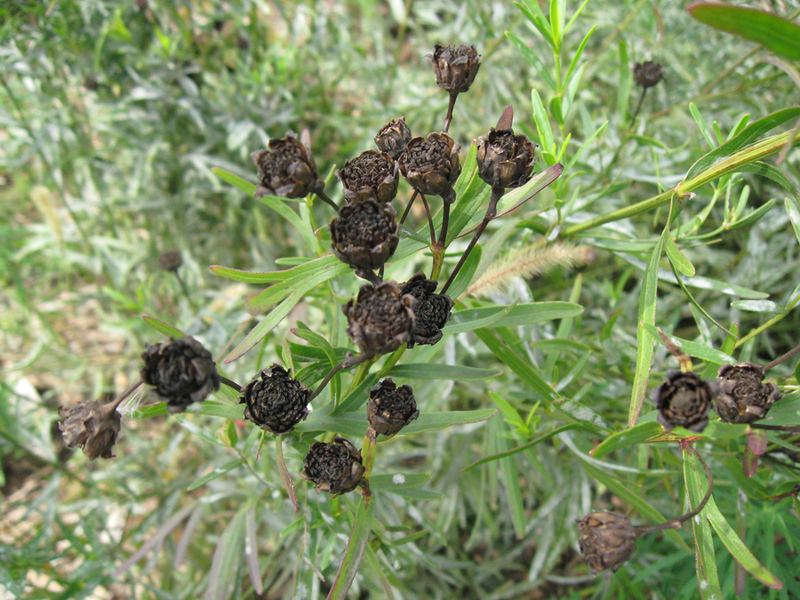 Coreopsis flower heads with seeds tucked away inside. 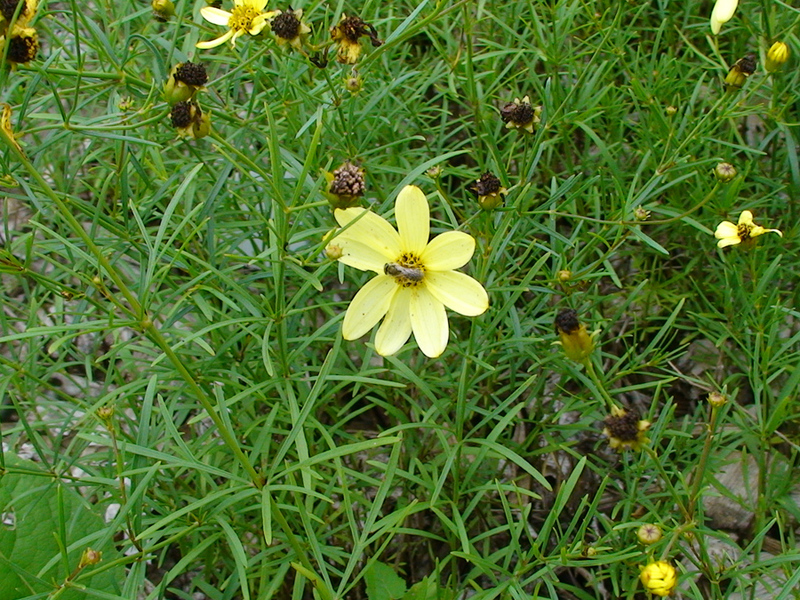 Coreopsis flower with native solitary bee.